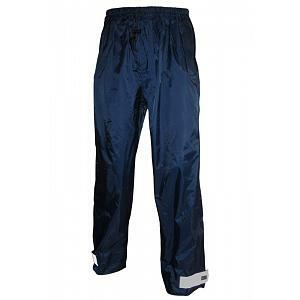 Bike Fun Climate Rain Pants was designed for bike riders who would fall in love with it at first sight. 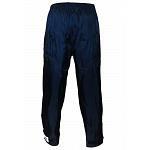 Shorter front and longer back are native distinctive feature for a cycling pants. Extended back constantly offers protection when you are in a bike riding position while shorter front does not disturb your cycling movement. It has elastic and a drawstring at the waist, 2 covered front zip pockets and is double-stitched seams. 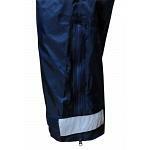 Reflective Velcro latch on the lower leg cuffs for good visibility when in bad lighting conditions.